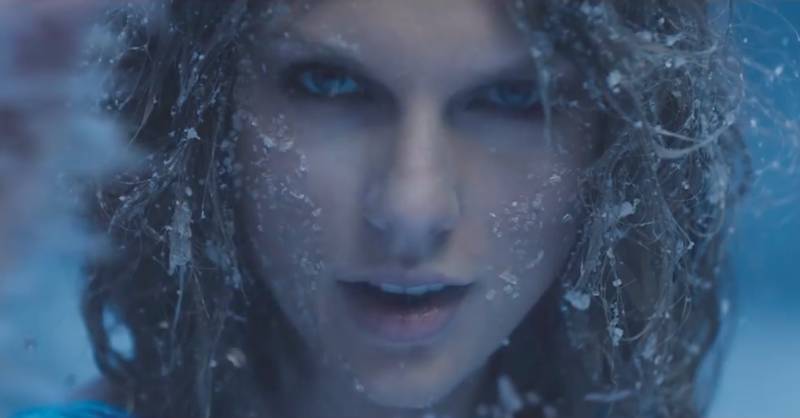 Taylor Swift dropped a new music video on New Year’s Eve. It’s all about shedding away unnecessary exes baggage for the fresh year with Taylor Swift. Your most loved/hated pop star goes on her own Man vs. Wild episode for her new music video “Out of the Woods.” Wearing a maxi blue dress that ends up being a mini thanks to wolves who chase her, the songstress goes through fire and ice before finally hitting the beach again. In case you didn’t join any Tay-approved streaming service or paid for her album, “Out of the Woods” is from her album, 1989. We like “Out of the Woods” more than “Wildest Dreams” as it depicts Tay marching solo against natural disasters than moping over some dude. Whether “Out of the Woods” will or won’t boost Chinese takeout is inconclusive, it will either sparkle #wolf controversy from animal activists or #distressebluedress from fashion bloggers. 2016, here we go!